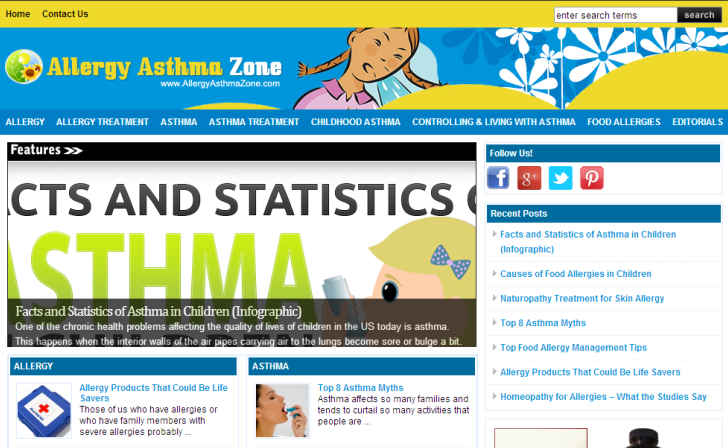 AllergyAsthmaZone.com Helping improve the lives of people suffering with various allergies and asthma. A blog that helps one improve the quality of life by knowing more about asthma & allergies. Contains latest news and information on topics such as childhood asthma, food allergies, allergy treatment, living with asthma, and more..